The annual International Science Festival Gothenburg has started! One of the well vistited events each year is the Science Roulette, where scientists talk to visitors about various issues in the gondolas of the Liseberg Ferris wheel. This year, the Gothenburg Centre for Sustainable Development has invited 17 scientists from Chalmers University of Technology and the University of Gothenburg to introduce visitors to the 17 UN Sustainable Development Goals. 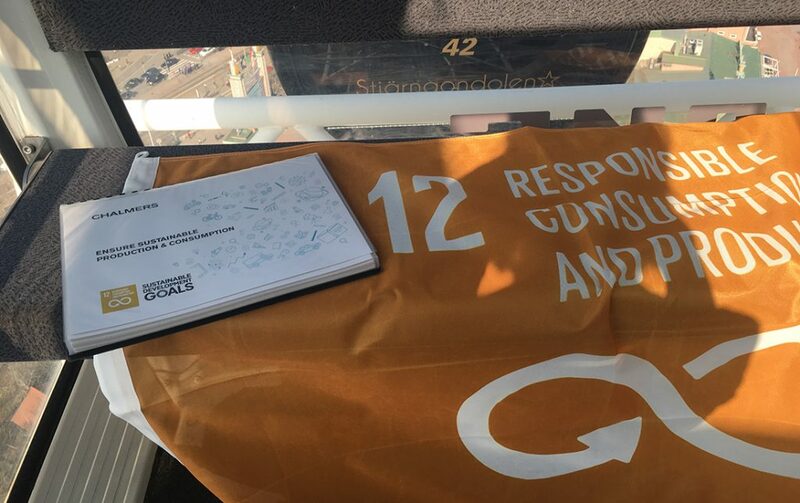 Armed with pictures and information material, Anneli Selvefors joined one of the goldolas to talk about the SDG 12 and discuss related challenges with the visitors.